There’s so much I want to share with you all, but there’s lots still under wraps for the time being! I’m working hard on new patterns though. In the meanwhile…more Wool-eater? Are you sick of this yet? I laid out the squares I had completed, just to get a sense of how many I will need total for a full-size blanket. The answer is…a lot. Maybe 3 times as many as I have? 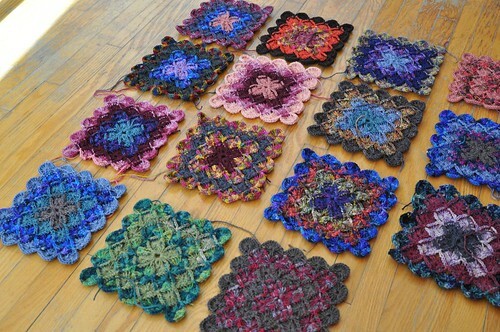 Each square is 7.25″ right now, and I’ll be adding another border round to each to tie it all together. Crazy colours, right? I also whipped up a BIG wool-eater square, out of some teal Cascade 220, for the front of a cushion cover. It’s 12″ wide. I need to figure out how I’m going to do the rest of the cover – I’m thinking maybe just some nice grey wool in a plainer stitch for the back. 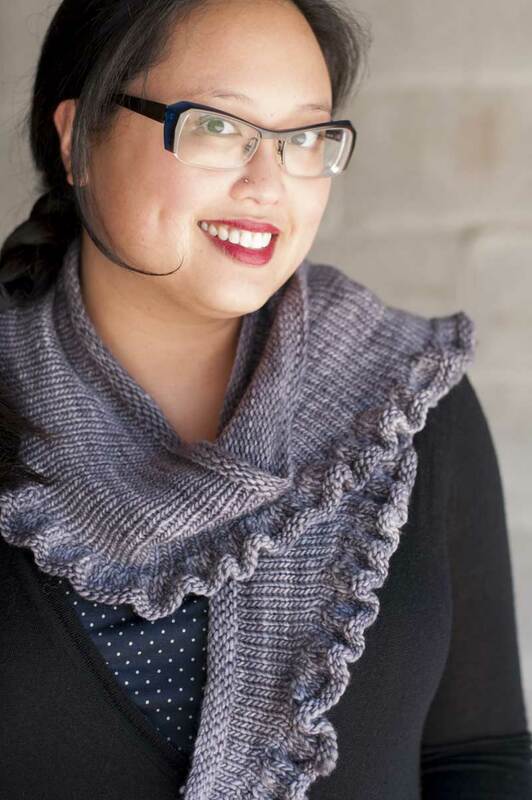 In case you missed it, the link to the pattern! Wool-eater. I also finished up a pair of nice bright green socks – the yarn is Socks that Rock, but I appear to have misplaced the label when I tossed this ball into my sock yarn bin. 2.25 mm needles, 64 sts, plain and basic. What with all the projects I have on the needles that I have to think about, it’s really lovely to have a pair of plain socks on the go as well, for a break! That blanket is going to be beautiful when completed – really beautiful. gah, your blanket is going to be so lovely! this wooleater texture is to die for. 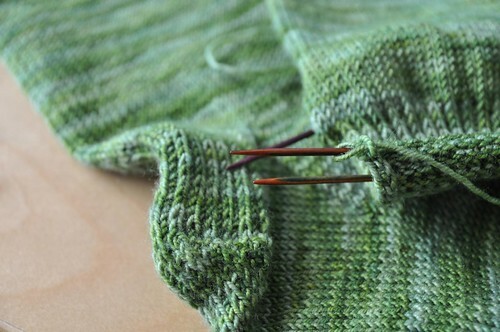 Your wool-eater squares are great. I admit to fondness of green socks though. 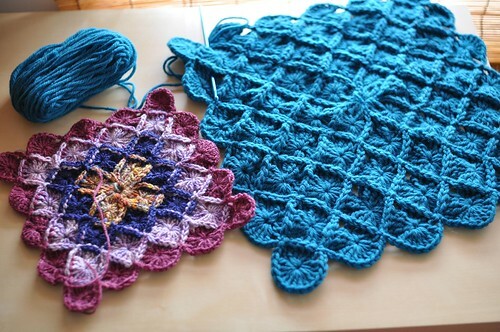 Will you crochet the squares together? I’ve done it several times, and quite like my results. BTW, I really like your colours and am looking forward to seeing it done.